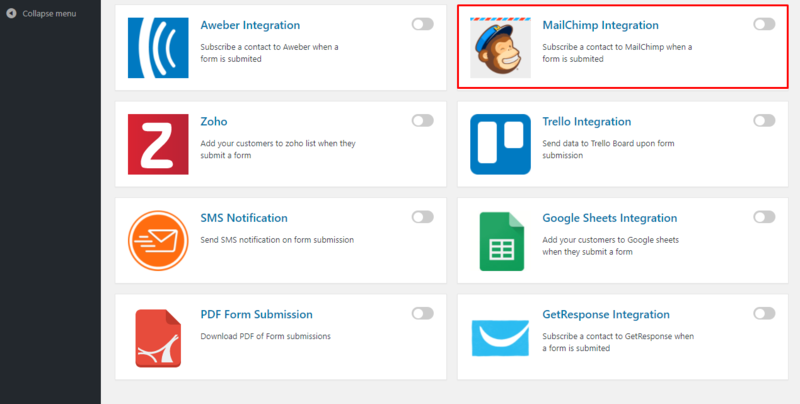 MailChimp for weForms - Automatically Add Your Form Entries To Mail List! 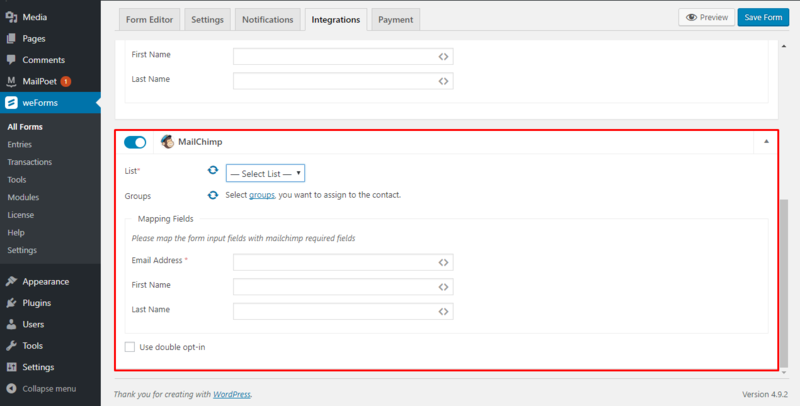 MailChimp integration for weForms makes the already robust form builder plugin your ultimate lead generation source for any kind of email service. 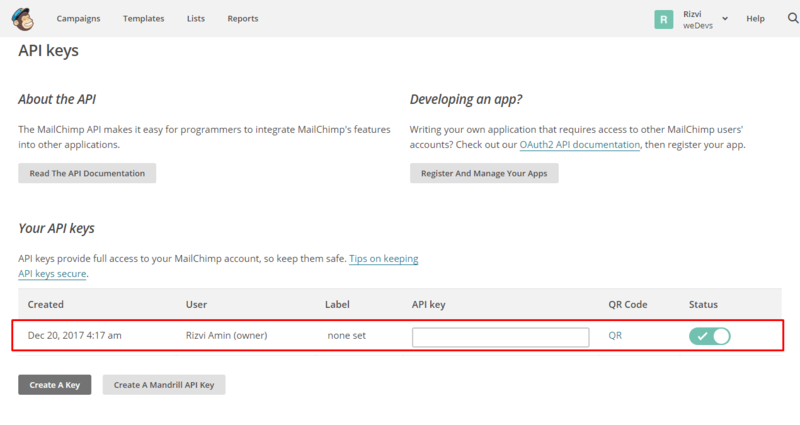 Transfer weForms data to MailChimp by connecting them. Create unlimited forms using weForms thus unlimited signup form. 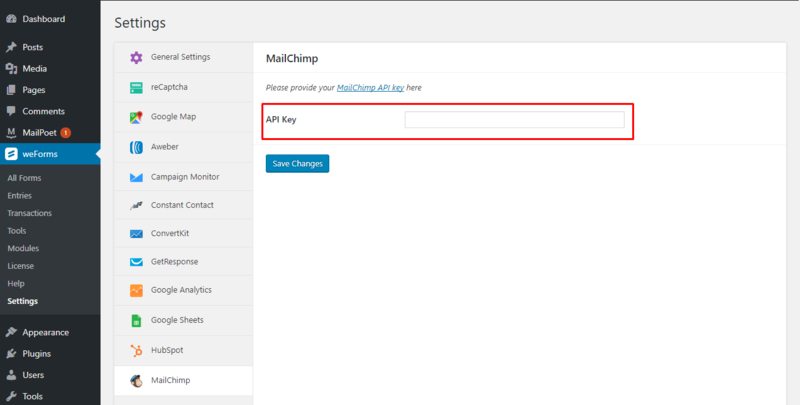 Collect your users information through weForms and automatically import them to you MailChimp database. Group your subscribers to particular list. You will be able to collect all your leads directly from your created forms. Connecting and building a relationship with your users has never been easier.